When you look at many of the homes in your neighborhood and compare your property with the others, you are quite proud of what you have around you. Where several of the other homes are lacking in trees, your property has fabulous tree coverage and looks great because of it. When you have trees as part of your landscape, it can be easy for your property to become the envy of others around you. However, there is great responsibility when you have trees as you want to make sure they are healthy and safe. 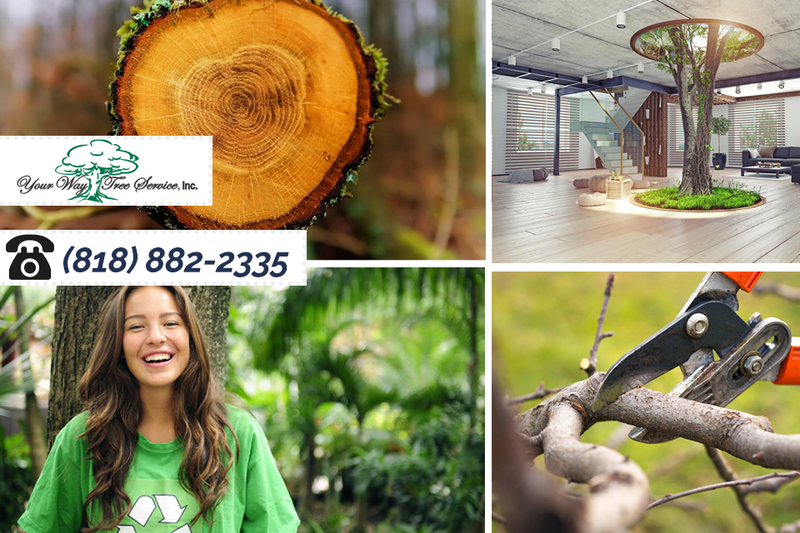 There can be several situations that can arise that can cause you to need professional tree removal in Calabasas by a service like ours at Your Way Tree Service, Inc.
Like all living things, your trees are going to continue to grow over time. Trees that may have seemed to be a reasonable size ten years ago may now be much larger than you ever expected. Very large trees can potentially encroach on your home and power lines, causing significant risks for you. When something like this happens, you will need to have the tree serviced. In some cases, the tree can be trimmed back and pruned so that it is more manageable and can stay near your home without causing trouble. In other instances, the only solution available may be to remove the tree so that you do not live with concerns about the tree coming down on your home. Tree removal in Calabasas may become necessary for you at some point if your trees become diseased. Disease on trees has become more prominent in recent years, and there can be several causes of the disease, such as insects and other pests. When a tree becomes diseased, it can be difficult to keep the tree healthy and viable, making removal the best and safest answer for you. When you have concerns about your trees and think you may need tree removal in Calabasas, contact us at Your Way Tree Service, Inc. to get the best help possible. We can provide you with a thorough assessment of your trees, so you know what is wrong, what the best options available to you are and that you can have them removed safely by our experts. Give us a call at 818-882-2335 to schedule an appointment for an assessment so you can get the professional assistance you need.